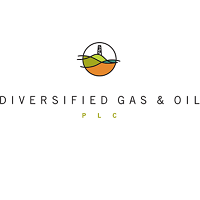 Diversified Gas & Oil plc (LON:DGOC) CEO Rusty Hutson talks to DirectorsTalk about the acquisition of Core Appalachia Holding Co LLC for a total consideration of $183 million. Rusty talks us through the highlights of the transaction, explains how this helps to optimise the assets bought previously in the year, the rationale behind the move and further opportunities in the Appalachian Basin. Diversified Gas & Oil PLC is an operator of oil and gas producing assets. Its innovative, disciplined investment strategy is focused on the acquisition of mature, low-decline and low-risk wells, enhancement of operations with a focus on efficiency, and maximization of profitability for shareholders. Founded in 2001, DGO has deep roots in the mineral-rich Appalachian United States, and currently produces approximately 500,000 mcfe/day of natural gas. “Our strategic acquisition of Core will allow us to unlock significant value from our enlarged base of assets in Kentucky and West Virginia that would otherwise not be achievable on a stand-alone basis. Core’s assets are highly contiguous to the assets we acquired from EQT earlier this year and materially expand our midstream footprint in Southern Appalachia. We expect to deliver both immediate and near-term synergies by combining these assets, resulting in higher revenues and lower operating expenses which will support our exceptional EBITDA margins across the portfolio and drive dividend payouts higher.